I saw this in Martha Stewart Living magazine this spring and got inspired. Of course when I did, I had to try at least one. Making passion fruit smoothies got me thinking of other fruits to try. So summery and bright, cheerful and useful. 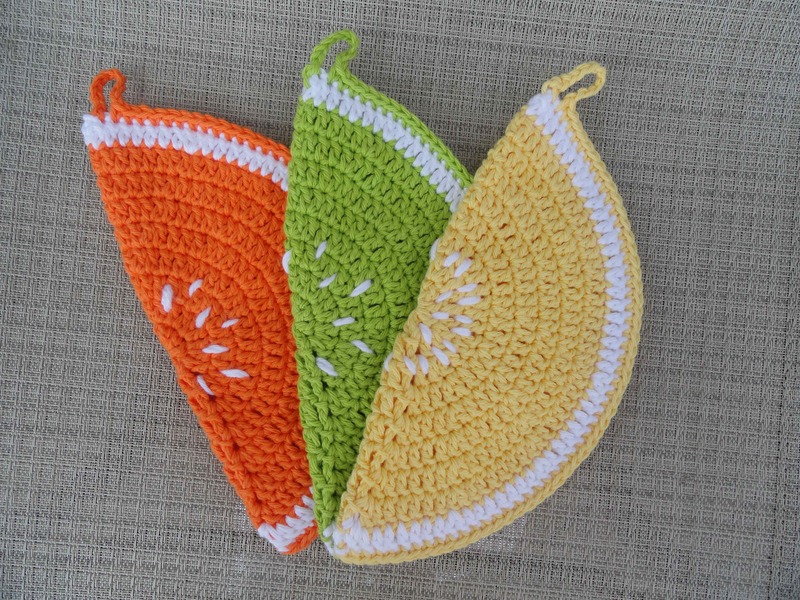 I am on the hunt for ideas…strawberries, cantaloupe, grapes, apples…I am planning on hooking a whole fruit basket of potholders. Have a great weekend & happy hooking! Those are perfect for summer! What great colors! 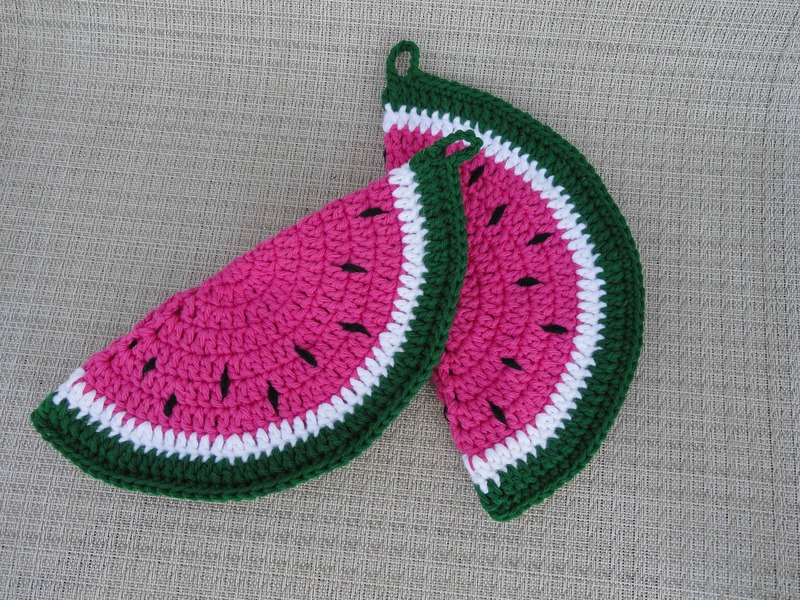 The watermelon ones remind me of a cape I crocheted for my niece last year. 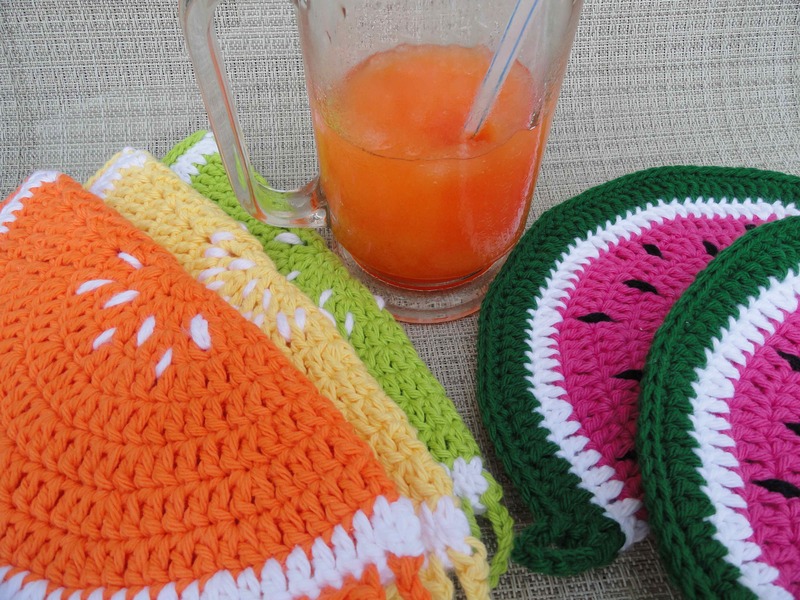 I think the pattern was in Crochet Today’s summer issue from last year. 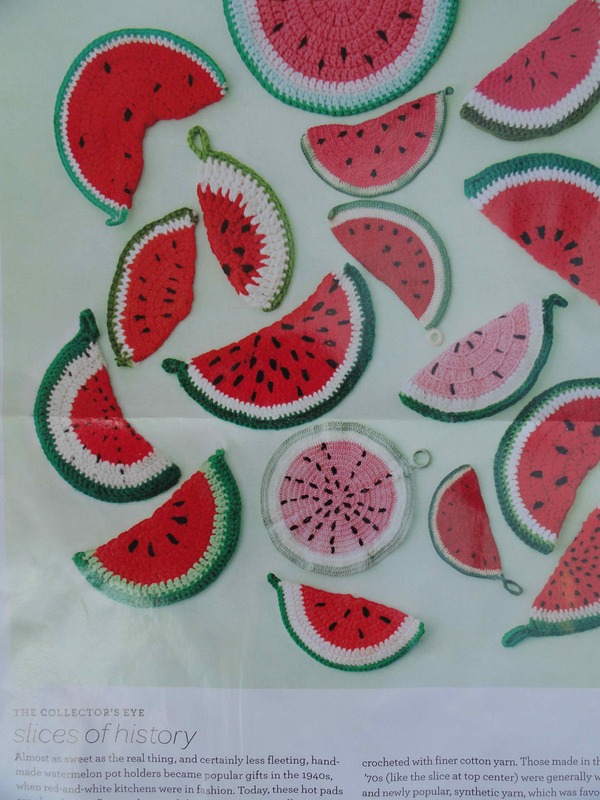 It’s hard to resist watermelons! 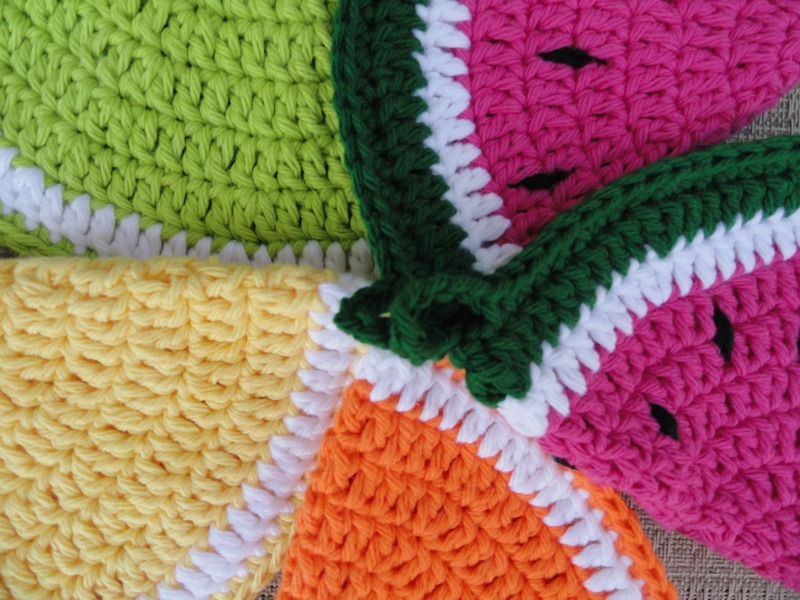 Pingback: 20 Free Crochet Patterns that are Berry Sweet! Is the pineapple pattern available? Is there a formula to keep increasing the size? I want to make a half-circle rug for in front of the door (approx. 3 feet wide). Thanks! 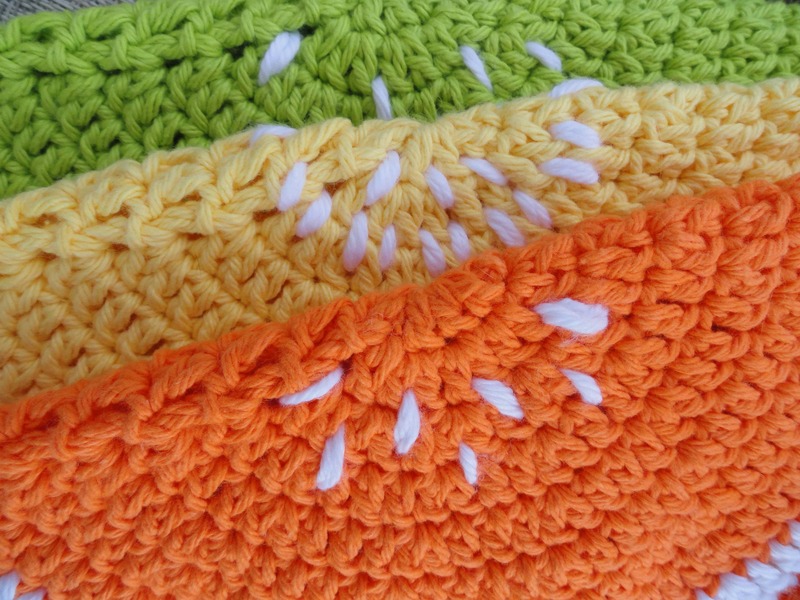 Just search for ‘crochet simple circle’. There are tons of videos & photo tutorials on the math to make a flat piece in any size your heart desires🖤happy hooking!